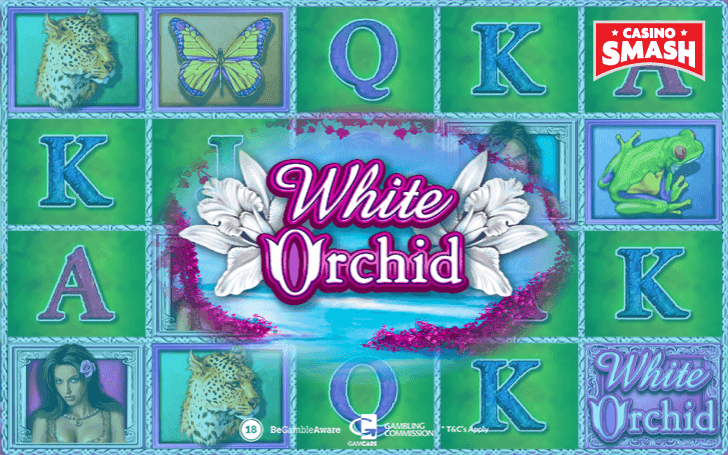 Check out White Orchid, a Slot machine you can find both online and at a land-based Casino. Will this be your new favorite game? Sometimes, a seemingly simple Slot can hide lots of cool bonuses. And that’s the case with the White Orchid Slot machine. If you have a thing for free spins and multiplier - you will love it. Especially if you don’t mind a little bit of cheesiness. White Orchid is one of those Slots that look way better as a physical machine rather than a virtual game at an online Casino. The same goes with the majority of other IGT video Slots. Even my beloved Da Vinci Diamonds doesn’t look that impressive when you play it on the internet. 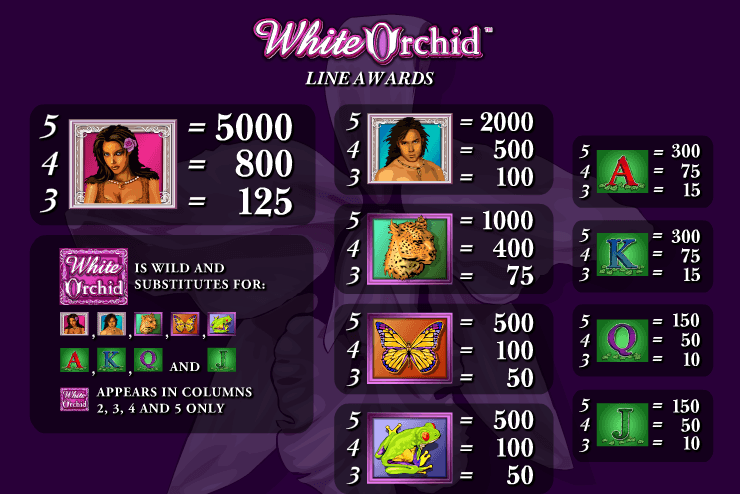 So, unlike some modern real money Slot games like these, White Orchid won’t grab your attention from the first spin. Or the second. 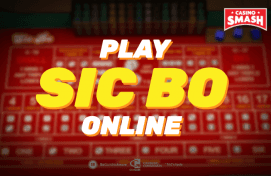 On the other hand, if you are a usual guest at your local land-based Casino and love classic Las Vegas games, this will the the perfect Slot to satisfy your crave for nostalgia. 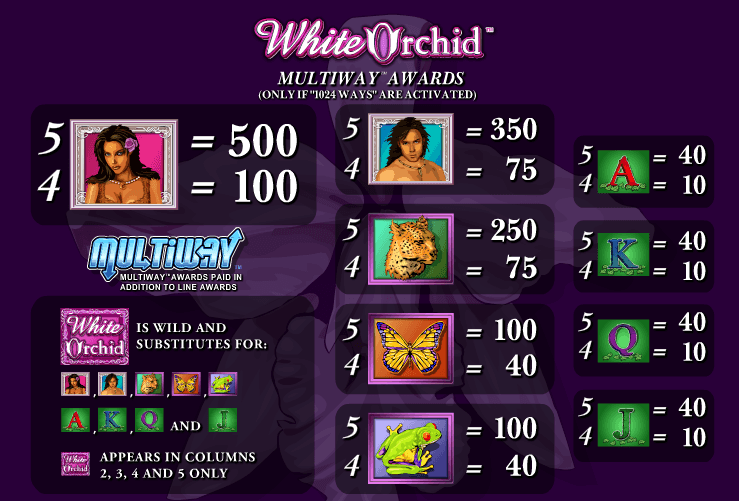 Now, there’s something that sets White Orchid apart from all the other simple Vegas Slots, and that’s the number of paylines it lets you to play with. But let’s begin from the start - you need to know the basics of the game first. Adjusting the number of coins will also adjust the number of active paylines. If you set this feature to the maximum (80 coins), you’ll activate the 1,024 ways to win. This will give you more chances to trigger a lucky combination. You see, the Multiway feature awards you for the same symbols in adjacent columns. And when you get identical symbols on the same reel, get ready for multipliers! You will get bigger payouts for the same winning combinations, as Multiway awards are paid in addition to line awards. Of course, for the chance to get paid more, you have to bet more. The minimum bet for the Multiway gameplay is 80 coins, which is quite a lot. So, if you’re not ready to spend a fortune, stick to the 40-line play. I was glad to discover that this Slot game is quite generous when it comes to bonuses. You can retrigger the feature and enjoy up to 130 free spins in one go - of course, this applies only to the luckiest of us. There’s also a Wild symbol that can replace all the other symbols except the Scatter. It can only appear on the second, third, fourth, and fifth reels. You’ll recognize it from the game’s logo. Although the first impression of the White Orchid Slot machine can be a bit underwhelming, it’s quite a nice game when you look at all the cool features it offers. Also, it was nice to discover that the Slot is not stingy when it comes to bonus symbols and Wilds. However, I don’t have a clear conclusion of whether you should play the 40 or 1024-line version. On the one hand, the full-payline version is much better in regard to payouts. On the other hand, you have to bet quite a lot to unlock the extra pays. At the end, it all comes down to the sum of money you’re ready to spend. I suggest playing the free version of White Orchid first to get accustomed to the gameplay. Only you can decide which type of playing suits you best - and let it be a well-thought-out decision.